Barbara Hawthorn’s career has been informed by life experience. Growing up in New York, Los Angeles, London and Paris exposed her to the best in design, architecture and the arts. Working in her father’s engineering firm taught her drafting skills and about alternative energy sources. A background as an artist instilled an understanding of color, light and composition. 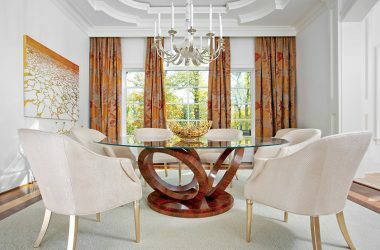 Hawthorn was named Hall of Fame Designer by Home & Design in 2009 and has been recognized by numerous publications as one of DC’s best designers. In January 2018, she was honored by the Women’s Leadership Group of the Boys & Girls Clubs of Greater Washington as their “Fearless Woman” for her contributions to the lives of at-risk children in the region. She was named Professional Woman of the Year 2011-2012 by the National Association of Professional Women. Projects by Barbara Hawthorn Interiors, Ltd., have appeared in both national and local publications and have been featured on network and cable TV. 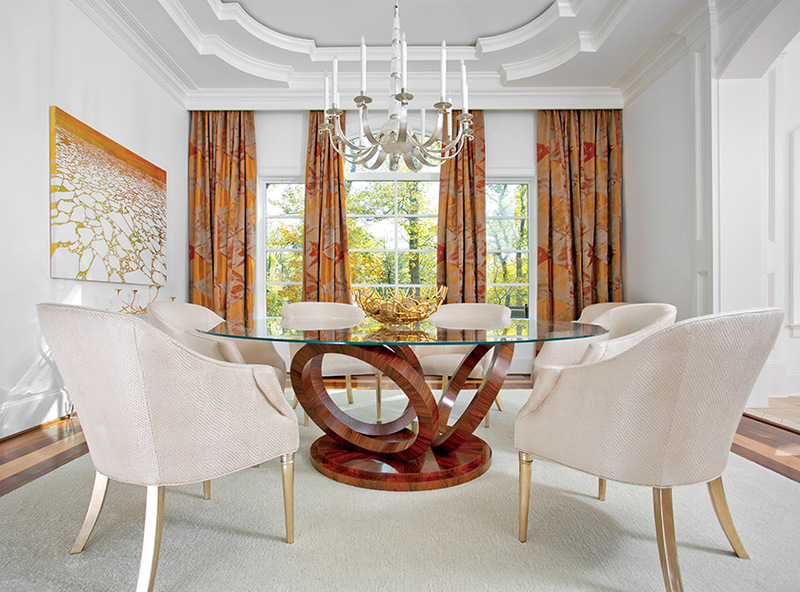 Drapes in fabric by Lelièvre complement a dramatic Keith Fritz table and Niermann Weeks chairs in a dining room with a chandelier by Allan Knight. 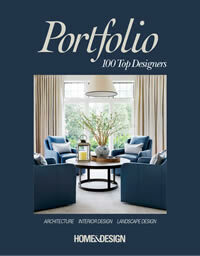 INTERIOR DESIGN: Barbara Hawthorn Interiors, Ltd. 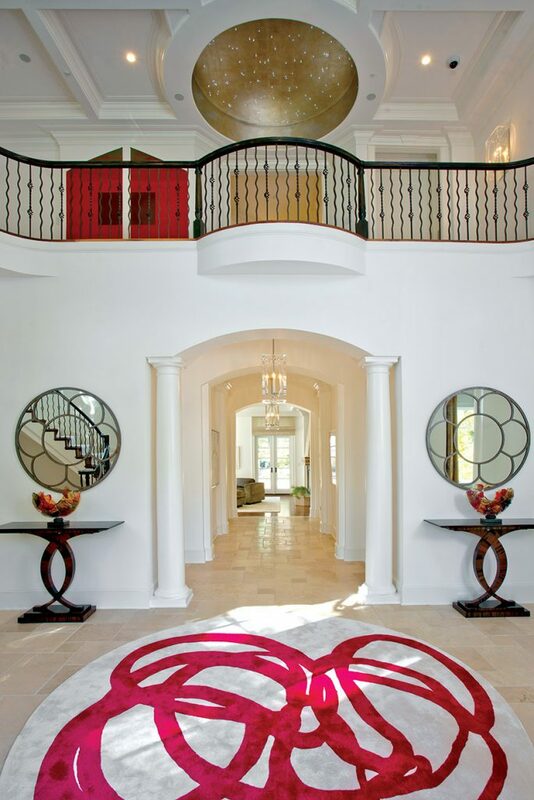 In a grand entry, a graphic rug from Holly Hunt makes a bold statement, while matching consoles by Keith Fritz are paired with mirrors by Niermann Weeks. 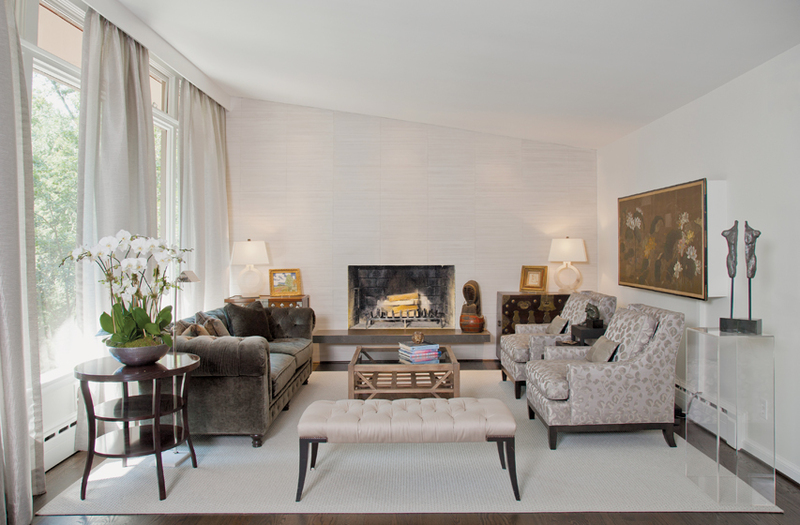 A light-filled sitting room features chairs and an ottoman by Niermann Weeks, covered in Cowtan & Tout fabric. A geometric composition provides balance and interest in a living room. Hawthorn updated a brick fireplace with natural stone; the surface provides a serene backdrop for comfortable, transitional furnishings and antiques. 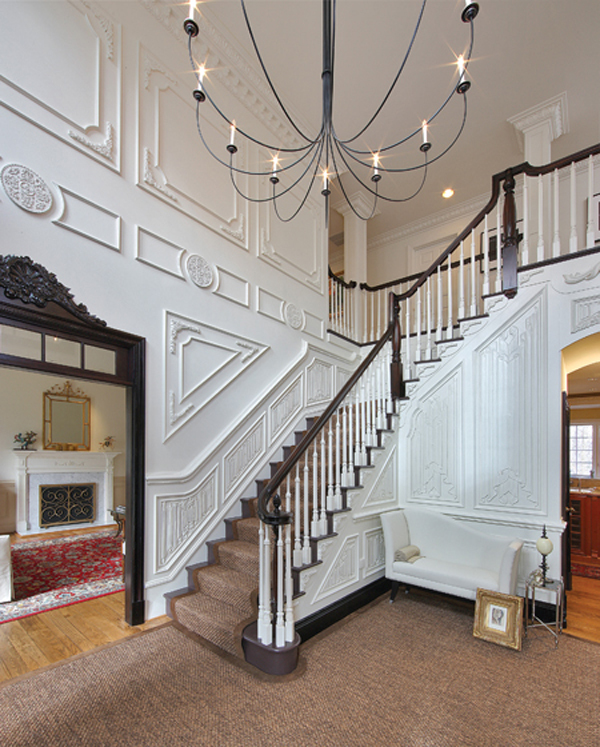 An inviting and dramatic entry combines old and new in a fresh, unexpected way.